OK, we’re tired of waiting! 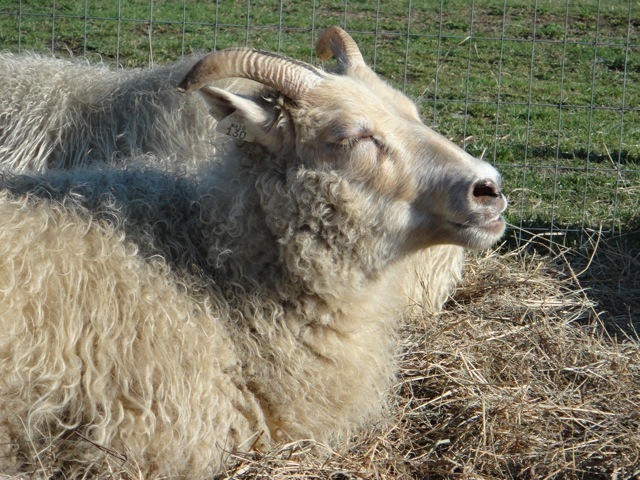 Here’s Roxanne enjoying the fresh air and sunshine. Her first birthday is Holy Saturday! Lying down brings some relief, but then they realize how it just makes is harder to breath because everything pushes up on the diaphragm! So, I think the race is still on between Molly and Millie. Both look as if they’ve dropped a bit. C’mon girls! Everyone is waiting!! Well, today marks day 142 from “the day the sheep got married,” as our younger children refer to it! 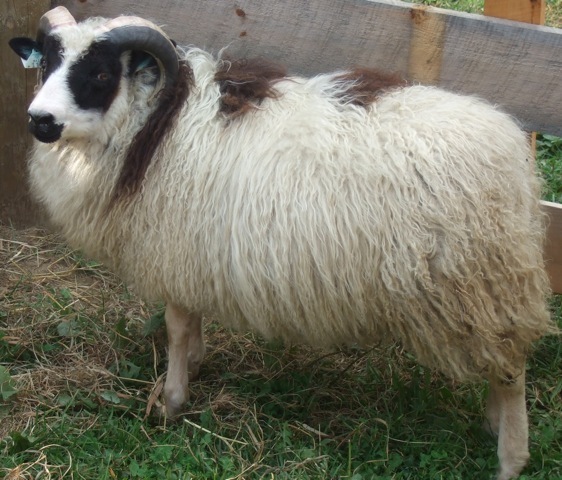 The average gestation for Icelandic sheep is 142-144 days. 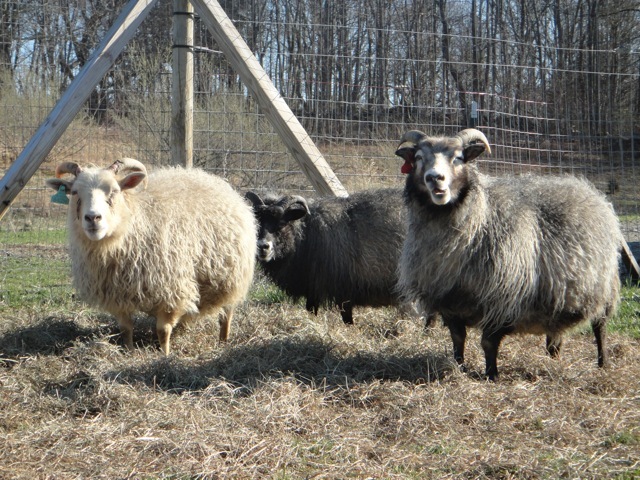 Barb at Jager Farm told us when she brought us our little starter flock: “in at Thanksgiving – lambs for Tax day!” So apparently income tax day has been delayed this year until April 18th – did someone tell our ewes that?! We see no signs of an impending lambing at this time, although on close inspection last night, I was surprised to see that Molly’s udder is bagging up. We were expecting Millie to lamb first, however Molly may just win out! It’s so hard to say at this point. Thunderstorms and heavy rain are predicted for Saturday night, so I hope our first lambing doesn’t happen then! It’s a riot watching these girls waddling around. And just when you start feeling sorry for their bulging bodies, they fool you and race over to the fence when they see you coming, hoping to get a little snack! As tempting as it is to comply, though, we do have to watch their girlish figures at this point, as an overweight ewe at lambing time can make for difficult deliveries. That being said, we can’t exactly put them on diets, as they really need good nutrition during this time to go through labor and delivery and nursing lambs! And so the race is on…who will have the first lamb? Millie or Molly? How many will she have? Will it be in the dark of night and we’ll miss the whole thing? Can you tell I’m getting excited!? All I know is that these girls aren’t talking, so we’ll just have to wait and see! 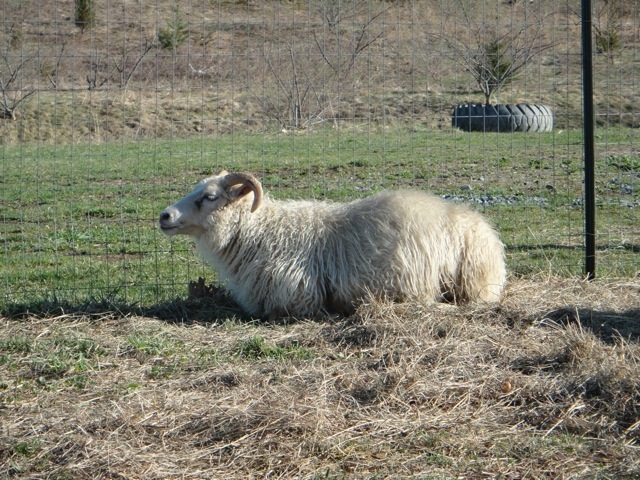 This weekend we will make the final preparations for our first lambs! We will be setting up our small barn as a combination labor and delivery area and post partum room. 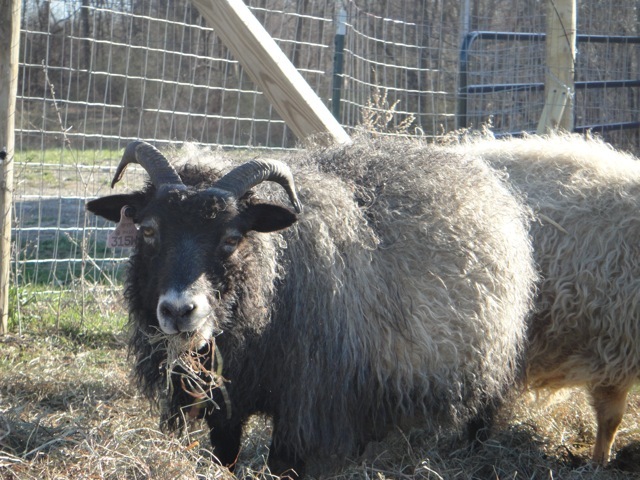 If the weather is fine, the ewes may choose to just deliver their lambs in the pasture, but we will be giving them the option of coming into the barn if they want. After that, we have an area on the opposite side of the shed in which we can confine the new family to allow for bonding time. 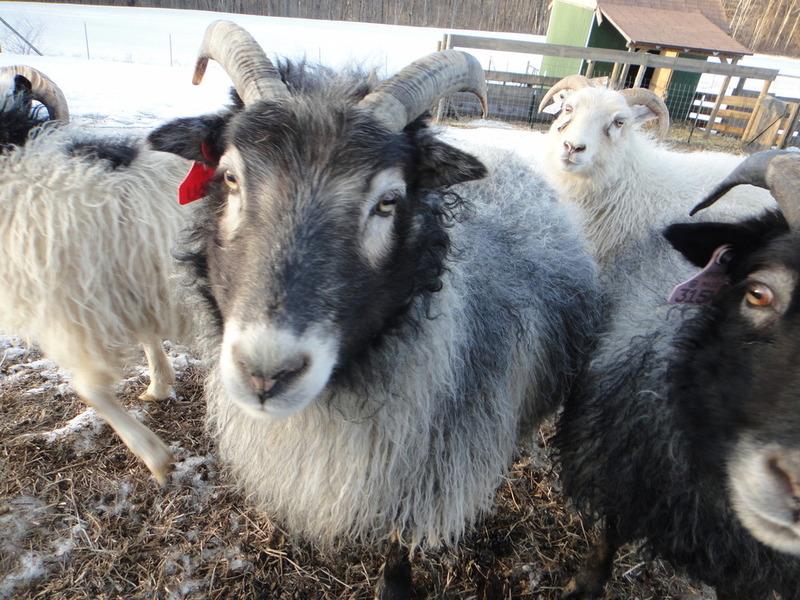 Only Millie is a proven ewe – the others are all beginners, so they might need to be confined a couple of days to give them time without the distraction of the other ewes. After delivery, Mom will be given a nice shot of karo syrup in their water for a pick-me-up. 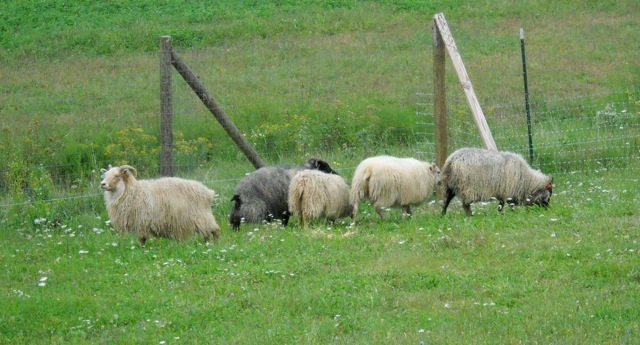 The lambs will need to have their cords cut to the proper length and dipped in iodine. Our first ewe to deliver will have to sacrifice to us some of her colostrum. I can’t even imagine what it will be like to milk our first ewe! We will freeze her colostrum in an ice cube tray and save it for any future lambs this season who may be rejected by the ewe and need bottle fed. After a day or so, everyone gets a workover. Mom gets her “pedicure.” Babies get a shot of Vitamin E/Selenium, as our soil is deficient in this mineral. They’ll also get a ear tag, and we’ll have to start working out their color for their registration. We’re hoping for lots of ewe lambs to build up our flock! 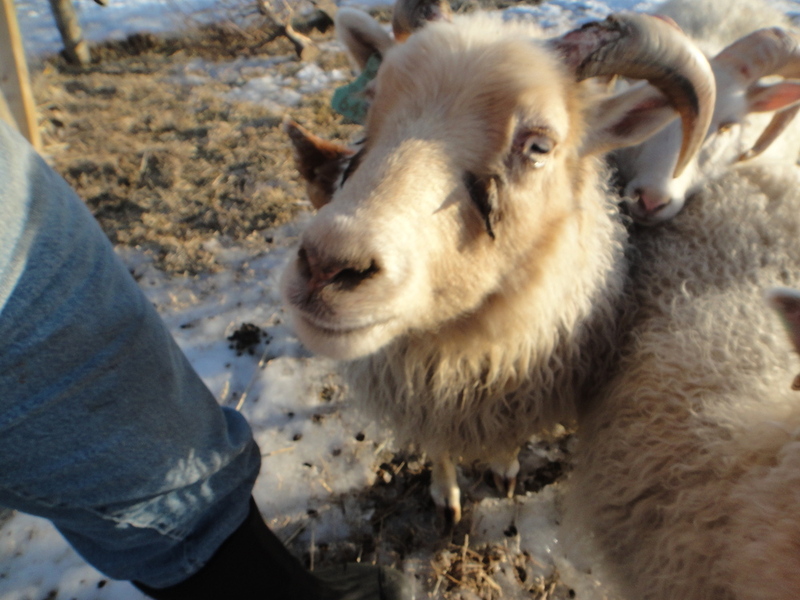 So – in less than a week we could have our first lambing! The countdown is on! I just hope the first one is on the weekend when Roy is here with me! 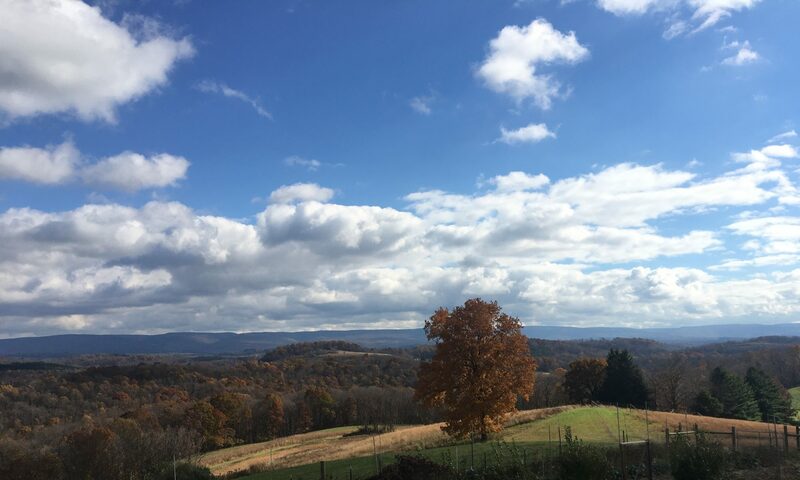 Well, here we go with our very first blog post for Morning Star Meadows Farm! We dedicate this blog to Our Lady, The Morning Star, to St. Isidore, patron of farmers, to St. Joseph, patron of the family, and to St. Francis of Assisi. May they be ever watchful of our blog, our farm and mostly our family.